Activate your tag Found a lost Pet ? Where can you get SOSLostPets tags? SOSLostPets tags are distributed by vet clinics, municipalities or pet professionals. Do it here or call or toll free line (1) 800 542 0140 or send a text message to the number (1)289-349-0928. 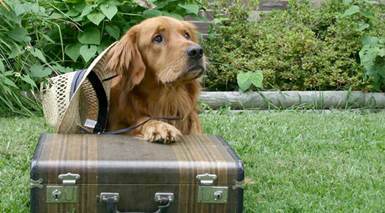 Only if you want to provide extra information to the potential finder of your lost pet. 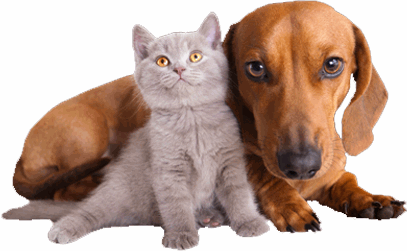 We multiply communication channels to make sure you and your pet get re-united. You have found a pet ? position it on the map and make sure our members, pet clinics or pet shelters in the neighbourhood can get acces to the information. Our mission is to reunite a pet with its rightful owner as quickly as possible. Click to check the pets found in your neigbourhood right now! You may also want to check the map showing missing pets in your neighbourhood. 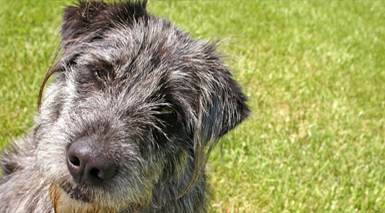 We give you the possibility to get immediately in touch with the owner of the pet you've found! 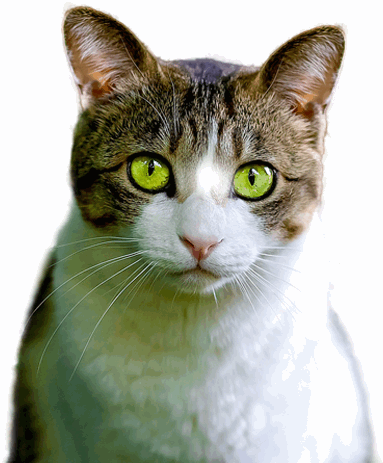 SOSLostpets is a rabies tag that you attach on your pet's collar. Each tag is engraved with a toll-free number and a scannable QR code . The finder of your lost pet is invited to scan the QR code with a smartphone or call the S.O.S. Lost Pet number. If the finder prefers to call the toll free number, S.O.S. Lost Pets forwards the call directly to the owner and sends an SMS to you and/or to a person of your choice (here as well, you can customize this information on your profile once logged in on www.soslospets.com). 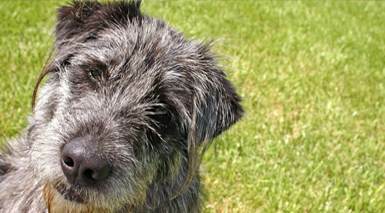 An Email message and a text message are also sent, informing you that your pet was found. If you are not reachable? The finder can leave a message. How and where can you get your SOSLostPets tag? SOSLostPets tags are mostly distributed by vet clinic using Zoetis products for their rabies vaccination. (defensor vaccines). 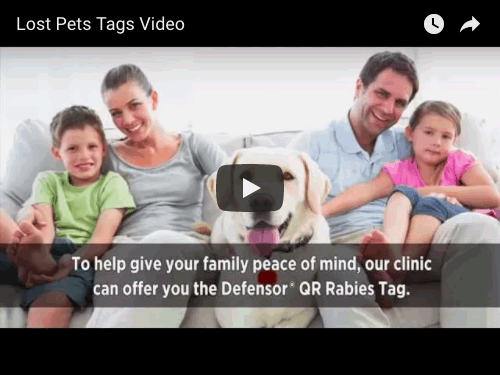 You get your tag with no extra charge together with the rabies vaccination of your pet. You can get a list of vet clinic distributing SOSLostPets tags here Click to go to the map. How do I activate my S.O.S. Lost Pets tag? 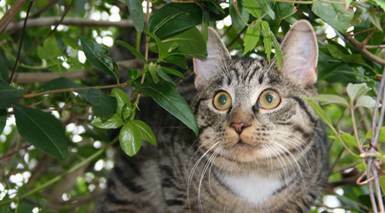 Go to www.soslostpets.com, click on tag activation standard and fill out the form. An alternative to activate your pet tag over Facebook is possible as well. Your vet can also activate your pet tag for you. Once activated don't forget to fill-out your personal profile to ensure that your pet will find his way home, and your pet profile to provide some information to the pet finder. If you receive a tag from your vet, ask him or her to activate it for you! Every tag is engraved with a pet identification code. The activation code (which you need in case you activate the tag yourself) is also printed on the tag, at the bottom, under the vet information. 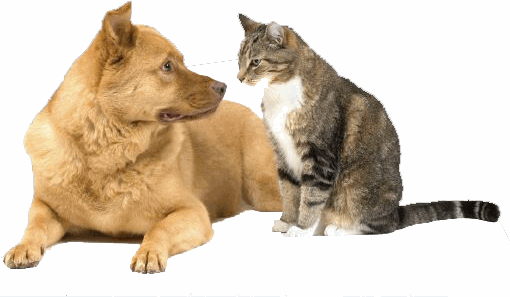 You need to enter both codes on our web site to activate your pet's tag. How do I test if this really works? Just like a finder would do it! Simply scan your tag if you have a smartphone or call the toll free number and enter your pet's identification code. If something isn't working properly, or if you have any feedback, get in touch with us. We look forward to hearing from you. QR is an abbreviation of "Quick Response". In short, it is a two dimensional code that contains a large quantity of data. It can also be scanned easily by the modern smartphones (iPhone, Android, BlackBerry) after a preliminary installation of a free QR code reader application. Note that the latest IOS or Android Operating System have a QR code reader directly included in the camera. How can I read a QR code? 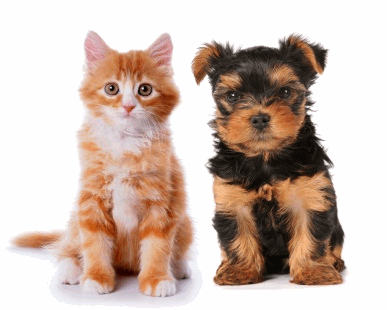 Can I order SOSLostPets for my cat or my dog? Yes! 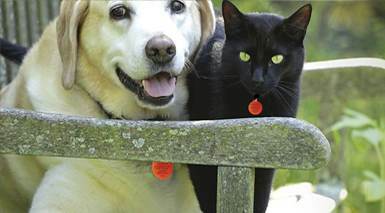 SOSLostPets tags works for dog and cats. The only different is the size. It is 30mm for a dog and only 25mm for a cat. How to register a tag by text message from your cell phone? You will receive a text message reply that will let you know if your activation was successful. The message will contain your username and password that you need to create your profile on SOSlostpets.com website. That's it! you are done! How can I contact the people at SOSLostPets? I have two different accounts, How can I merge them? To merge two accounts, just send a mail to [email protected] mentioning the tags belonging to each account and the account under which everthing will be merged. We will fix the rest for you. I cannot upload the photo of my pet... What to do ? Just send the picture or photo by email to [email protected]. We will do it for you. If this is the first time you log in AND you have just registered a new tag, Your identifier depends on how you registered your tag. In all cases, your initial password will be your tag number. If you are already registered, your userid and passwords will not be modified. Do you charge annual fees? My Dog/Cat has lost its tag. Can I get a new one? Unfortunately, we do not have stocks of unused SOSLostPets tags taht could be sent to you. All SOSLostPets tags are distributed through vet clinics, so if your pet lost its tag, just visit your vet clinic participating to the Zoetis program for Rabies vaccinations and ask for a replacement tag (that should not be a problem). When you have the new tag, just register it with the same information you used for the first tag (same email address, same pet name). The replacement in the database will be automatic. Your help is invaluable and we are very grateful for the service you offer both clients and vets. Our pets are much safer now. This is so cool! I did not expect my rabies tag to have such a great service. Thank you! Perfect. Simple. Easy. I love it. Less scared to see my dog getting lost. Get in touch with the owner of a lost pet! You just found a lost pet with a SOS LostPets tag? Simply enter the tag number (a 10 digits number which is printed underneath the QR code. Please read this document carefully. By connecting to our different sites Promoprotec and Promotheo ('sites Promoprotec'), you agree to the terms and conditions listed below. As a user, you may access content on most areas of the website without registering. 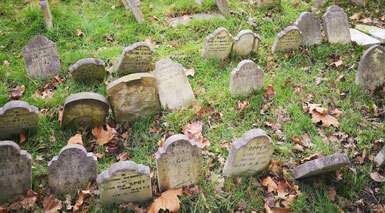 Parts of the site are only available to registrants. These sites are owned Promoprotec, a Canadian federal incorporation registered in Ontario. The entire website content is the property of Promoprotec. You are nevertheless allowed to receive and display the contents of the website on a computer screen, print individual pages on paper (a photocopy is prohibited) and to retain such pages in electronic form on disk (with the except for one server or another type of peripheral data storage connected to a network) for personal use and not for commercial purposes. Except for uses specifically listed above, you may not reproduce, modify or exploit for any commercial purpose or part of the content without the prior consent Promoprotec ( [email protected]). 'SOSLostKeys','SOSClesPerdues', 'KidDirekt', 'Promoprotec Travel Kit', 'BoatDirekt', 'SOSChats', 'SOSChiens', 'ClubDirekt' and 'Promoprotec', 'Promotheo' are trademarks that belong to promoprotec. You are not allowed to use the names of these products without prior authorization Promoprotec. The design and all products (IF keytags, ID wristbands, Pet tags and stickers) and the slogan 'You lose it. They find it. We find you.' are protected by copyright laws and designs submitted. It is the responsibility of the user to provide accurate information, including e-mail and mobile phone number during registration. Any changes must be made directly by the user in the secure area where access is restricted by a password known only to the user himself. Promoprotec can not be held responsible for non-operation of the service in case of incomplete or incorrect information has been recorded by the user. The purpose of the services offered by Promoprotec is to allow the finder of a lost item, pet or child to quickly get in contact via e-mail, SMS or phone with the owner of the object. Promoprotec has the right to read these messages and destroy them if they would be defamatory, indecent, abusive or threatening. Promoprotec has the exclusive right to use the content of these messages for advertising purposes. Their owner can not require royalties. The registration services provided by Promoprotec entitles the registered user to use the e-mail ID engraved on our printed products Promoprotec. Registered users are not permitted to use the e-mail ID which has been allocated for purposes other than identification of their personal belongings in order to facilitate their recovery if lost. The finder of a lost object or lost pet protected by Promoprotec is entitled to a reward: As of today, this reward is made of a gift pack of products and services from Promoprotec worth 10 euros. The reward offered by Promoprotec is never financial. It is entirely at the discretion of the owner to supplement this reward. Promoprotec will notify by SMS, e-mail or phone _ depending on the product and the description of the service offered on each site_ the owner of the subscription when receiving a message from the finder. Promoprotec will transfer the content of the message to the user, or will forward the call for the duration of the subscription depending on the product (the information will be clearly given on the product description). Promoprotec disclaims all liability for damages of any nature whatsoever resulting from the temporary unavailability of its sites or voice servers, or of the systems for sending SMS or email. promoprotec strives to ensure constant availability of its services. Customers understand that promoprotec services depend on the goodwill of finders, and that promoprotec is unable to guarantee the recovery of the lost object/pet/child by its rightful owner/parent. promoprotec undertakes to do everything possible to ensure constant availability of its server for the transmission of e-mails, the security of its databases and a functioning website. However, promoprotec disclaims all liability for damages of any nature whatsoever resulting from the unavailability of sites or voice servers, or systems for sending SMS or email. Similarly, promoprotec undertakes to do its utmost to avoid any other breach of security of the site by 'hackers'. But promoprotec can not guarantee the occurrence of such attacks and can not be held responsible for the consequences of these attacks. promoprotec does not guarantee the absence of viruses or other destructive element in nature or contagious on the website. promoprotec disclaims any liability arising from services rendered or the rates charged by its trading partners. In case of suspension or cancellation of services provided by promoprotec for any reason, you can not claim the refund of amounts previously paid to promoprotec. Promoprotec reserves the right to change any part of the website or its features at any time without prior notice. In case of change in the terms and conditions, promoprotec agrees to notify you by e-mail and post such changes on the web page. The use of the website after receiving notification of changes by e-mail or after the publication of such changes on the website constitutes acceptance of the new provisions. In case of refusal of the new provisions, you must not use the website or call on the services provided by promoprotec. These provisions are subject to Canadian legislation. promoprotec reserves the right to bring a case before the court in your country of residence or, if the dispute comes within the framework of your business before the court at the seat of your activity. Your privacy is important to us. Although our ability to provide service may require that we collect personal information about our customers, we take measures to ensure the privacy and confidentiality of that information. Personal information is information about an identifiable individual. This includes information about your product and service subscriptions and usage. PROMOPROTEC collects information about you during the registration process, when communicating or transacting business with you, and when providing service to you. Promoprotec uses Google analytics to collects information to improve the overall quality of our website. No email addresses employed in correspondence with Promoprotec will be used or collected for the purposes of reselling to a third party. This website uses “cookies,” a technology that installs a small, unique identifier text file on a website user’s computer to permit the website to recognize future visits using that computer. The purpose of the cookie is to identify you when you visit the site so we can enhance and customize your use of the website. You can configure your browser to reject all cookies or notify you when a cookie is set. Although you may choose to decline cookies, doing so may affect your use of the website and your ability to access certain features of the website or engage in transactions through the website. Customers: Because Promoprotec will make attempts to return any item register in our database, we keep any information provided by customers on our database on a long-term basis, or until it may be removed at the initiation of our clients. It is our clients’ responsibility to check their personal accounts in order to verify, update or correct any information about their valuables, as is appropriate, as well as any relevant personal information. Promoprotec generally stores only such information as has been volunteered by our clients during the registration process. Promoprotec does not collect any information, such as email addresses, credit card numbers, temporary addresses or travel destinations, that may be made available to the company during inquiries into or the purchase of our product, or during the course of an item’s recovery due to loss. Promoprotec customers can ask to review any of the information that we have retained, how we have used it and to whom we have disclosed it by contacting us at info [@] soslostpets.com. Subject to certain exceptions set out by law, and provided Promoprotec can authenticate your identity, you will be given reasonable access to your personal information and will be entitled to challenge its accuracy and completeness and to have it corrected as appropriate. You can also ask us to change your preferences regarding how we use or disclose your information. Should a Promoprotec customer desire to discontinue any and all association with our company, the customer can request not to receive any further communication from us. Furthermore, the customer can request that we remove all of his or her personal information from our records at Promoprotec. Subject to any internal or legal requirements for the temporary or continued retention of information, we will make every reasonable effort to honor that request. Information provided to couriers or other individuals or companies charged with transporting found items is restricted to a standard mailing address, either for the Promoprotec customer’s home or another designated address. Normally, these agents will also be aware of the identity of the retrieved article, since they will be required to place the item in standard company packaging. Additional Policy Information You can log in to our site using sign-in services such as Facebook Connect or an Open ID provider. These services will authenticate your identity and provide you the option to share certain personal information with us such as your name and email address to pre-populate our sign up form. Services like Facebook Connect give you the option to post information about your activities on this Web site to your profile page to share with others within your network. Promoprotec strives to protect the privacy and security of any information you provide over the Internet to Promoprotec. However, because of the nature of the Internet, Promoprotec cannot guarantee that this information will not be improperly accessed or used by third parties. As well, Promoprotec makes no representations or warranties that the Promoprotec website, or access to and use of the Promoprotec site, will be uninterrupted, error free, or free from defects, viruses or other harmful components. Therefore, you are submitting the information over the Internet to Promoprotec at your own risk. Copyright © 2018 by soslostpets. All Rights Reserved.